Note: If you follow me on twitter, you’ll know that this cheesecake met its untimely demise when it hit the pavement on my way to work yesterday morning. It was so sad, and (I admit) tragically funny. What makes it worse is that I had made a mini one for myself so I know how good it tastes. There’s more to the story – perhaps one day when I’m over the sting of wasted dessert, I’ll share. But there sure were some disappointed people at work yesterday. I’m just going to come out and admit it – I’m not a huge fan of pumpkin pie. I know, crazy right? I think it’s psychological – the whole it’s a vegetable (I know, it’s technically a fruit, but come on) but it’s sweet, etc. etc. But if you throw cheesecake into the mix, well now – that’s a different story. 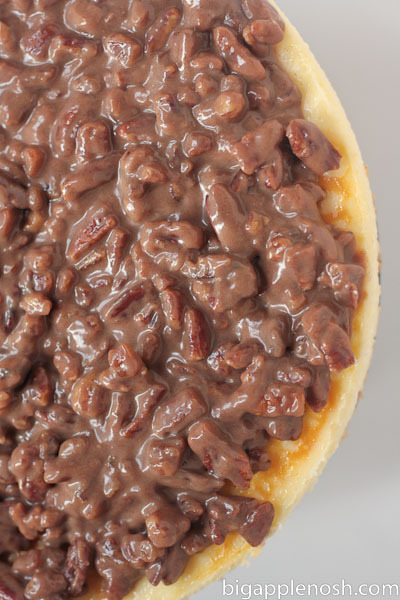 And if you put praline topping on top of the whole shebang – ok, NOW we’re talking. 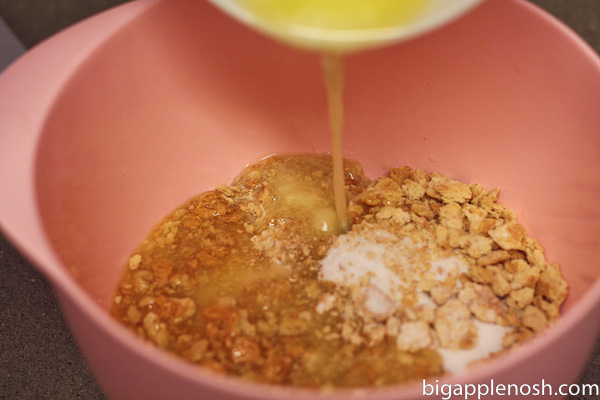 My second Thanksgiving recipe post for pumpkin praline cheesecake is a little more time intensive, but its actual steps are quite simple. Let’s get started, shall we? 1. 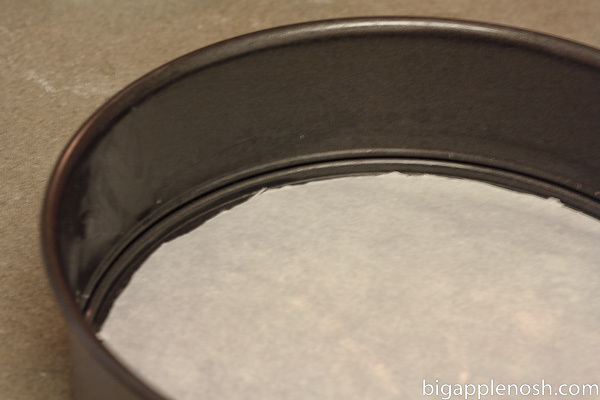 Preheat oven to 350 degrees and line bottom of 9-inch springform pan with parchment paper. 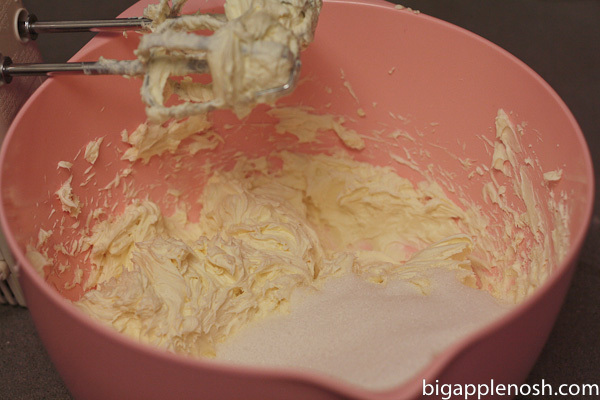 Coat paper and sides with butter. 2. 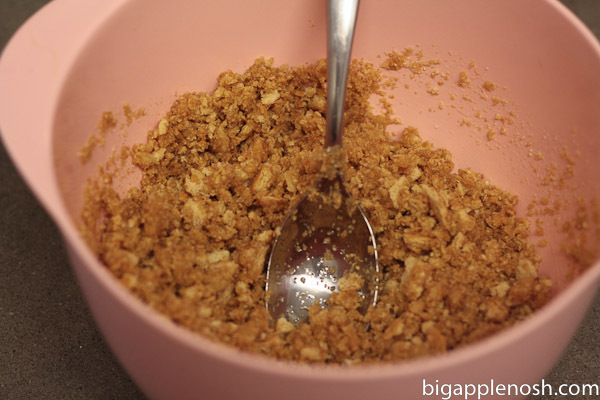 Combine crushed graham crackers with melted butter and sugar. Press into bottom of pan. 1. 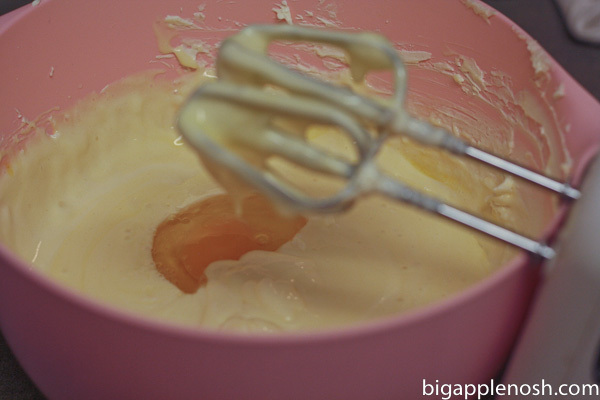 Beat cream cheese with electric mixer until fluffy, about 1 minute. Add sugar and vanilla and beat until smooth. 2. Add eggs one by one, beating after each addition. 3. 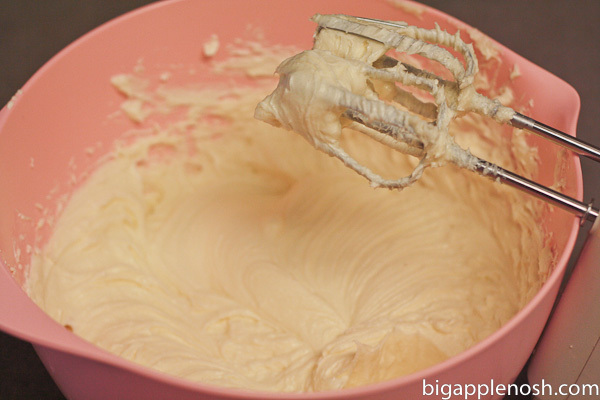 Separate approximately 1/3 of cream cheese mixture into separate bowl. 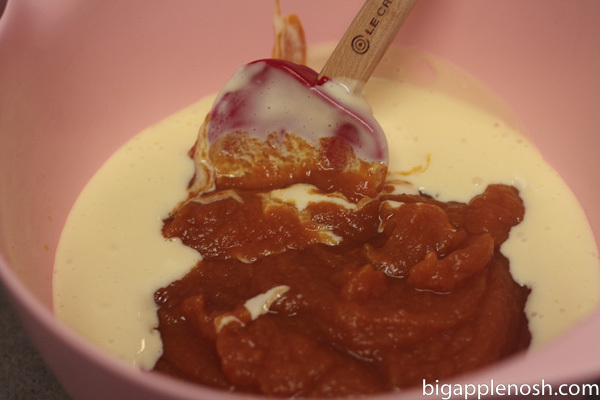 Fold pumpkin into this bowl until incorporated. 4. 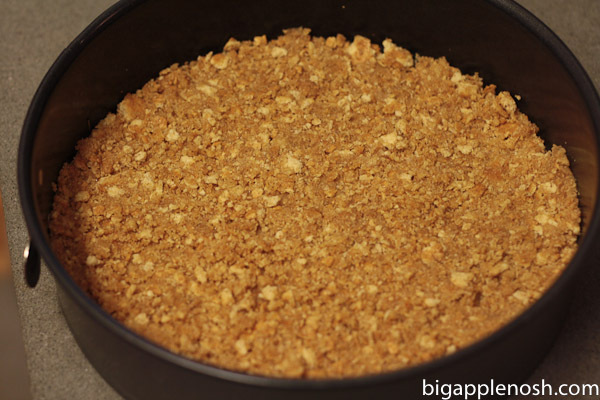 Pour plain cream cheese mixture over crust. 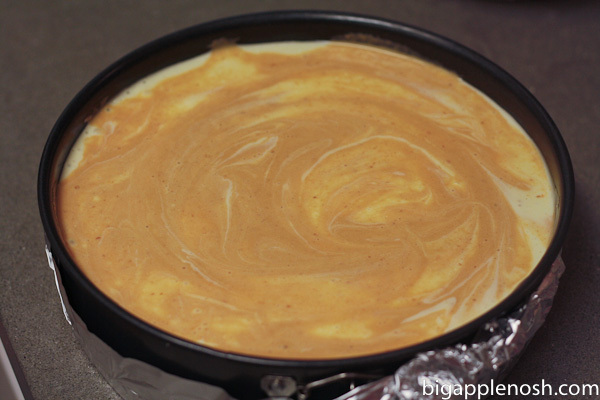 Carefully layer pumpkin cream cheese mixture on top. 5. Boil 8 cups of water. Place springform pan in larger pan, filling larger pan with enough boiling water to reach halfway up the sides of the springform (I wrap foil around the bottom of the springform to prevent leaks). 1. Preheat oven to 350 degrees. 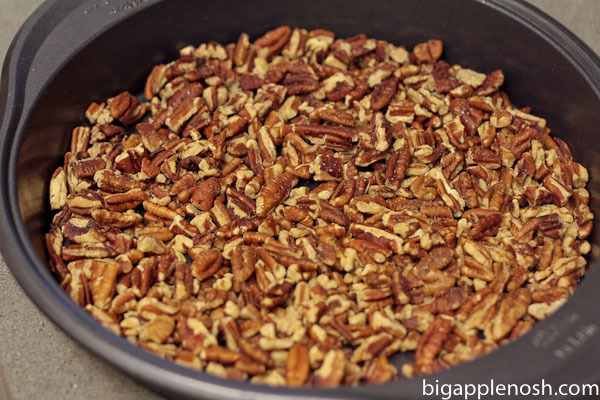 Toast pecans in pre-heated oven for 8 minutes. 2. 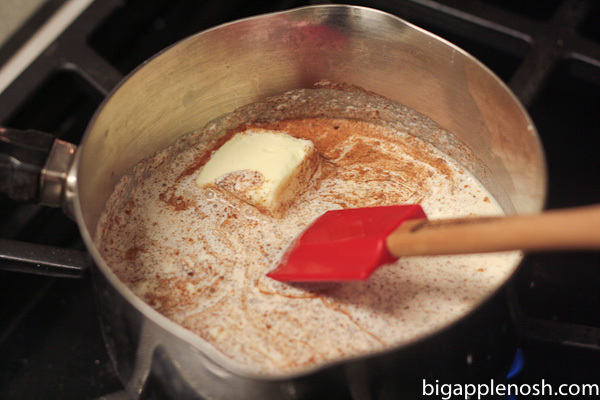 Combine brown sugar, cream and butter over medium heat. Boil for 2 minutes, stirring occasionally. 4. 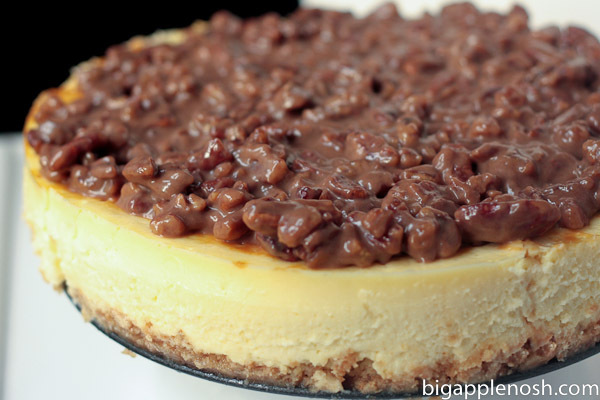 Pour topping over chilled cheesecake and serve immediately! 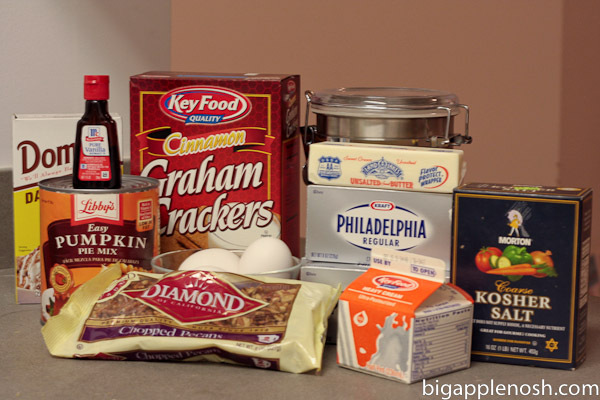 OMG, my husband would LOVE this – he loves cheesecake and pumpkin, so this will send him over the moon. Thanks for the great recipe!!! AHHHHHHHHH SO SAD!!!!! I can't even imagine what I'd do if I dropped a cheesecake. It's even sadder that your cheesecake looks amazing. Love that you can see all the tasty layers! Mmm, this looks delicious! And I'm with you, I am SO not into pumpkin pie! Mike, however, loves it! I'm more of a cheesecake girl, so this would be the perfect "meet in the middle" dessert. Yum! Yum, this looks so delicious! 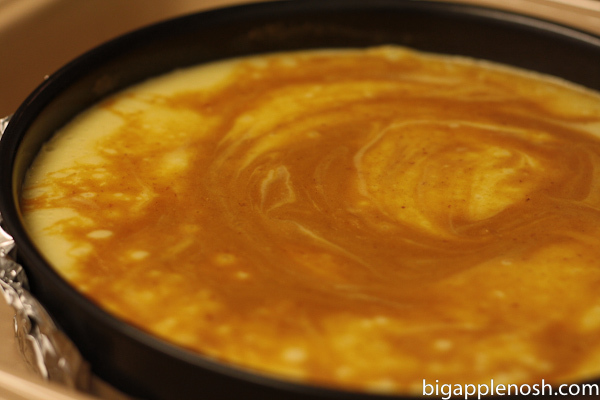 I only like homemade pumpkin pie, not store bought, but this looks way better for a holiday dessert! 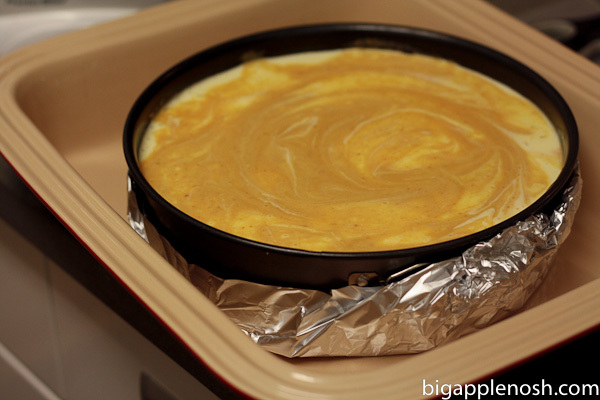 Oh my gosh, I SO wish K's mom hadn't made regular pumpkin cheesecake already… this looks amazing! And here I thought pumpkin cheesecake couldn't get any better… that praline topping is the perfect finishing touch! The most memorable one was when I brought a box of macarons for a store manager to promote my product for an upcoming party. I dropped the box right in front of him, and every single macaron broke. I've learned to always bring 2 boxes just in case! 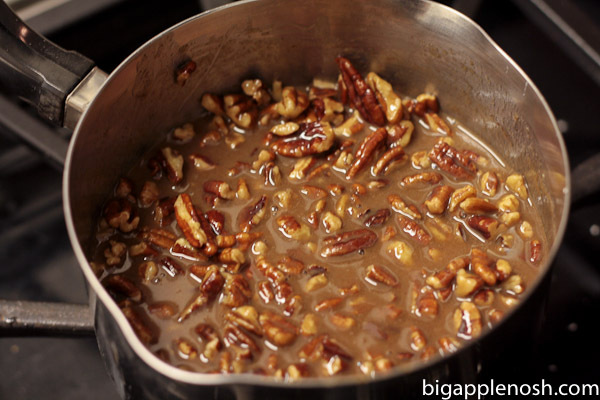 I saw this recipe when it posted and I decided to give it a try for thanksgiving…. I think it was the item that my family was most thankful for. It was A-M-A-Z-I-N-G! Thank you so much for posting it. I usually shy away from things that look complicated but your directions were incredibly easy to follow and it was a very well written tutorial. Loved having pictures of all the steps. That looks amazing!!! I'm glad you can laugh about it!!!! I'd die and go home and sulk. Okay, and maybe laugh, too. Being an Aussie, i'm completely unfamiliar (& intimidated by) the idea of baking a pumpkin pie. I'm gonna make this for my American boyfriend & rock his world! Thanks Serena!